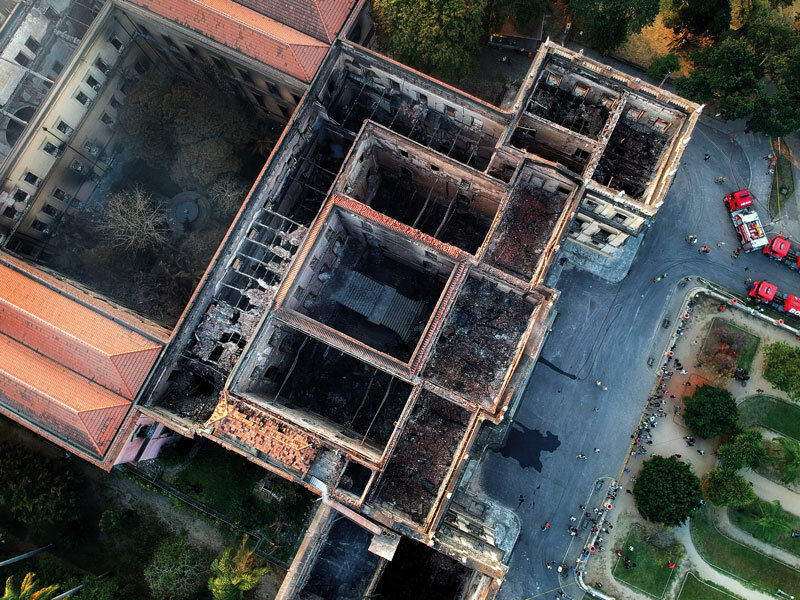 On the night of September 2, 2018, a fire ripped through the 200-year-old halls of Brazil’s Museu Nacional, or National Museum, in Rio de Janeiro. With no sprinkler system in place, there was nothing to stop the blaze from spreading, and when firefighters arrived on the scene they found that the nearby hydrants were dry. The fire raged for hours, destroying around 90 percent of the 20 million items held in the museum and reducing much of the historic building – the former Imperial Palace – to an empty carcass. Researchers from the museum helped break down doors to salvage what they could of the work. Out of the debris, some prized items were recovered, albeit damaged, including the 11,500-year-old remains of Luzia, the oldest human fossil found in the Americas. But for the most part, centuries of knowledge and decades of work were lost forever. Brazil’s National Museum had long been underfunded. In fact, in 2018, the museum only received around BRL 98,000 ($25,400) from the government, and the year before it was forced to crowdfund in order to reopen a dinosaur exhibit that had been infested with termites. Meanwhile, the British Museum, which has a collection half the size, received a government grant-in-aid totalling £53.6m ($69m) for the year to March 2018. Speaking on Canadian radio show As It Happens, Luiz Fernando Dias Duarte, the museum’s deputy director, claimed the museum would have survived the fire if it had received just a quarter of the funds the government put towards building a single stadium for the 2014 FIFA World Cup. “The loss is huge. It’s difficult to describe exactly the richness and the variety of the collections that were turned into ashes,” he said. Marcus Guidoti, an entomologist who recently completed his PhD, studies lace bugs, or Tingidae, in Brazil. The National Museum held one of the most important collections of this insect family. 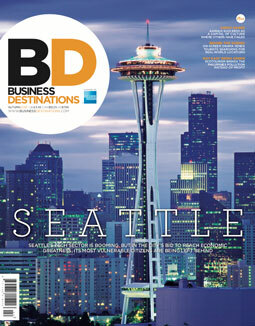 When Guidoti spoke with Business Destinations, he said that, as far as he knew, essentially the entire insect collection in the main building of the museum had been lost. In Brazil, the lack of government funding provided for the arts and sciences is a chronic problem. Gudioti said that from what he has seen when visiting the country’s most important biological collections, no one is really prepared for a disaster like the National Museum fire. In fact, another fire wiped out huge collections of biological specimens at the Instituto Butantan in São Paulo in 2010, and in 2015, the Museum of the Portuguese Language was also destroyed in a blaze. Museums around the world are also dealing with similar issues. For instance, India’s National Museum of Natural History in New Delhi was engulfed in flames in 2016, leading to the loss of large collections of rare flora and fauna. 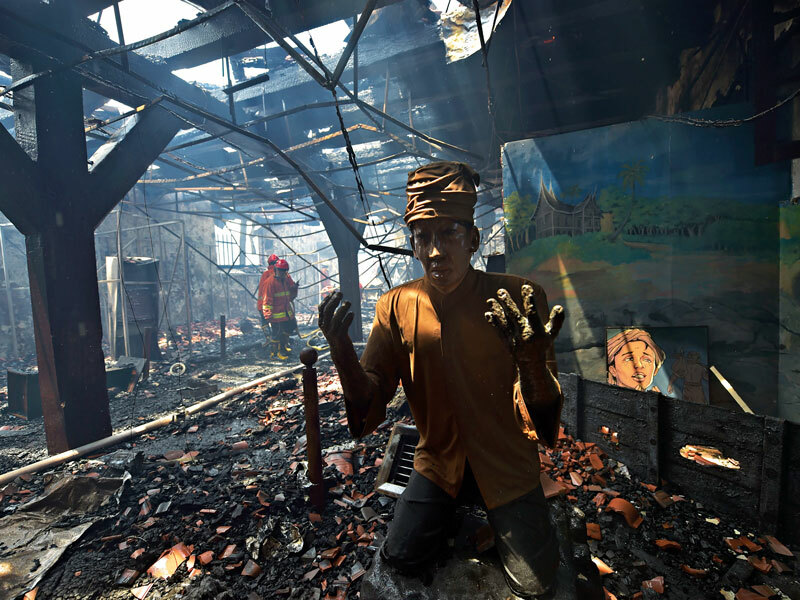 At the start of 2018, about 60 percent of Indonesia’s Maritime Museum in Jakarta was lost to fire caused by a short circuit. In 2017, hundreds of artefacts were ruined at the Tatihou Maritime Museum in France, including three paintings on loan from the Louvre, after a lightning storm started a fire. ICOM NATHIST released a statement in November that read: “ICOM NATHIST would like to express its deep concern regarding the preservation of natural history collections worldwide. These collections face unique and mounting risks regarding their preservation and care. ICOM NATHIST urges those entrusted with resourcing the stewardship of these treasures to recognise their value and ensure their ongoing protection”. “Museums really are vitally important,” Dorfman said, citing the well-known warning attributed to philosopher George Santayana: “Those who cannot remember the past are condemned to repeat it.” Like the canary in the coal mine, Dorfman said discoveries made from the artefacts of natural history museums act as warning signs that point us towards a better future: “These collections must be viewed as windows into the past and tools for the future, and while they’re beautiful, that’s not their sole purpose.” Consequently, the destruction of the National Museum was not only a significant loss to Brazil’s heritage, but to the world’s as well. Brazilian historian Gunter Axt told The New Yorker the fire was one of the “greatest cultural disasters of our age”. Good museums do not exist in a vacuum; they are integral fixtures in the communities and cultures in which they operate. At a time when cultural institutions are doing more than ever for the public – from education to community outreach – the importance of protecting their mission cannot be overstated. Governments and funders need to understand what museums and other cultural organisations do and the value they provide, Dorfman said. For that to happen, institutions must get better at telling their own stories. As devastating as the fire at Brazil’s National Museum was, there is a lot to learn from the disaster. Most obvious is the fact that, by undervaluing museums and art institutions, we run the risk of losing millennia of cultural heritage to preventable destruction. However, the fire also demonstrated just how hard those who do understand the true value of museums will fight for a better future.